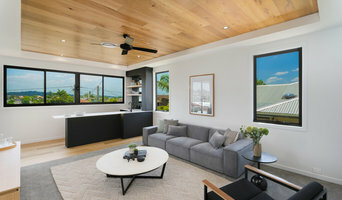 Refresh Property Styling Brisbane creates beautiful interior spaces that will capture the hearts of prospective buyers. Careful property staging can do more than just look great in the promotional photos, it can evoke an emotional response and increase genuine buyer engagement with your home as they walk through the door. With meticulous attention to detail and a luxe styling aesthetic, we transform rooms into truly aspirational spaces that the buyer can visualise themselves in. Our expert property stylists bring vast renovating for profit experience and a wealth of industry knowledge to every consultation. Developer with a raft of units requiring individual staging? Or homeowner entering a competitive real estate market? Refresh Property Styling can provide the customised advice you need to unlock the true potential of your property when it comes time to sell. Meraki Home Design is a Interior Decorating and Property Styling Business. We provide a fresh and creative outlook for any home or business using innovative ideas that match our client requirements. We listen to our clients and want to solve their decorating dilemmas. We not only want to add value to the home but ultimately create a place they love and can call home. STAGE - STYLE - SELL. Capture the attention of your entire market and create an emotional connection from genuine buyers through carefully considered interiors. 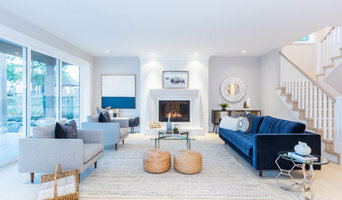 Style Council is a unique property staging/styling and interior design company now offering a full real estate service. Imagine entering the market in the strongest negotiation position possible. Results show and prove that creatively staged, styled and marketed properties will spend the shortest time on market, achieve above-market results and have the highest clearance rates. Professional property staging can capture the hearts of prospective buyers within seconds of viewing your home, whether it be on-line or at an inspection. From full renovations to a quick polish, we have you covered, with customised strategies and a full end-to-end service, Style Council is committed to unlocking the full potential of your property. Expect expert advice, styling and service from a team with 15 years’ experience in the industry by contacting Loren on 0411 658 435 or submitting the contact form through HOUZZ. DESIGN PHILOSOPHY/STYLE Contemporary/luxe, although I live and breathe mid-century modern with a twist. Affordable and Effective Property Styling, Home Staging and Furniture Hire in South East Queensland. We are an established family business with service and results at the top of our priorities. Call us now to discuss your needs 0402 543 839. COMPLETE PROPERTY STYLING takes the stress out of preparing your property for sale. Brisbane based, our styled properties are usually snapped up quickly and for premium prices. We work with builders, developers, real estate agents and the general public. Our stylists are fully qualified interior decorators, so you know you're in good hands. We are passionate about property, interior decorating, styling and getting the very best result for our clients. We stock our own inventory and have extremely fast turnaround times. We also have access to quality trades, cleaning services, landscapers, transportation and storage facilities. Here are some facts to consider: Did you know that you can add thousands of dollars to the value of your property if it is presented correctly? Did you also know that potential buyers make up their minds about a property within seconds of seeing it and that only 10% of buyers can visualise beyond what they see? Property styling is all about helping a potential buyer imagine themselves living in the property. Let us help you sell your property faster and for more $$$s. Real Estate Property Styling, Interior Decorating, Colour Consulting, Furniture Packages, Downsizing and Project Managers servicing Brisbane and surrounding Suburbs. Uptown Property Styling maximises the value of residential properties, transforming empty spaces into warm, elegant and stylish environments that attract and appeal to buyers, add instant value and achieve successful sales results. Houzz Pro. At Mink we are the property seller's secret weapon... When selling it's important to create a specific property presentation that achieves a premium sales result. Faster sale and higher price. We provide a full market-based assessment, tailored design advice, furniture rental packages and professional styling. If you are interested in learning more about how we can help you achieve a great price for your home, you can call us on 0434 140 500. Home staging is simply the merchandising of a house to capture the hearts and offers of potential buyers so that a house gets sold quickly, for the best price and with the least stress. Home staging follows a simple process. 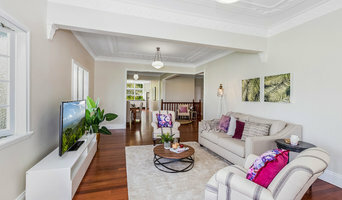 From effective de-cluttering, proper cleaning inside and out, attention to repairs and re-modelling, neutralising décor for maximum appeal to the all important showcasing; home staging highlights a home’s best features, gives a feeling of perceived space, easy maintenance and move straight in appeal. It is the difference that makes the difference when selling a house. 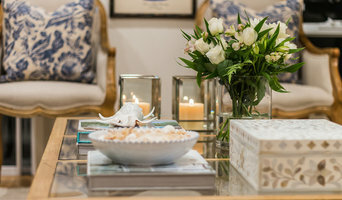 Styled by Skye is a boutique property styling business created by Skye Mead with her love and passion for Interior Design. After working in the Real Estate industry for the past 6 years, Skye saw the huge demand and benefits that property styling has in today's world. Once completing her Diploma of Interior Design, Skye took the plunge to start her own business. Styled by Skye is all about personalised home transformations that will re connect you with your home. I offer tailored packages to suit your budget and needs and I service from Brisbane to Byron Bay. We are Getting Sorted and we can help you de-clutter and re-organise your home. Redesign your living environment as a more cohesive and convenient space by eliminating the stress of clutter. Let us take care of the "stuff" , and give you the tools and approach to keeping it at bay. We aim to inspire our clients to change the way they live through their newly re-designed and organised home. We discuss with you what your expectations are and what you hope to achieve as an end result. Another component of Getting Sorted's services, is that all useable items from the de-cluttering process are taken from your home and donated to RizeUp Australia. We have partnered with RizeUp who provide practical assistance for the many families affected by domestic and family violence. When families leave a refuge they are given a barren property which RizeUp transform into a purposely created home specific to their individual needs. The preloved items clients do part ways with, go directly to these projects. So clients can take pride in knowing their special but no longer necessary items are helping families start a new life. Upstagers Pty Ltd will tailor our staging to suit your unique property. Staging enables your property to sell in a timely manner at a higher return. The Home Stylist or Stager works to prepare your Fortitude Valley, Queensland home for the Queensland real estate market. Find a home stylist or stager on Houzz. Narrow your search in the Professionals section of the website to Fortitude Valley, Queensland home stylists. You can also look through Fortitude Valley, Queensland photos by style to find a room you like, then contact the professional who styled it.